PLANO, Texas — Cheetos, one of the flagship brands from PepsiCo’s Frito-Lay division, will once again celebrate the interesting shapes fans see in their Cheetos snacks, but with a twist: By giving them the chance to win what they see in their favorite snack. Now through September 2, Cheetos fans can submit a photo of their uniquely shaped Cheetos snacks with a description for the chance to win a prize inspired by what they see. Each entry period, a fan submission will be rewarded a once-in-a-lifetime prize related to their Cheetos shape. Do you see a palm tree? You just won you a tropical vacation. A guitar? Your very own custom electric guitar and concert tickets. Using your imagination to find unique shapes in your Cheetos bag can now unlock amazing adventures and prizes. A total of $100,000 will be awarded over the course of the ten week contest in the form of prizes and experiences. Each winner will receive a prize valued up to $11,000 based on their submission and designed specifically for them. 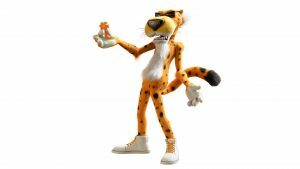 Cheetos will also be awarding unexpected prizes throughout the contest for clever shape submissions. Cheetos, one of the flagship brands from PepsiCo’s Frito-Lay division, will once again celebrate the interesting shapes fans see in their Cheetos snacks, but with a twist: By giving them the chance to win what they see in their favorite snack.